The neighbourhood of Walle is diverse and dynamic; people of all social classes live here. Making the local saying: "In Walle wohnen sie alle!" (In Walle live they all!) very fitting. 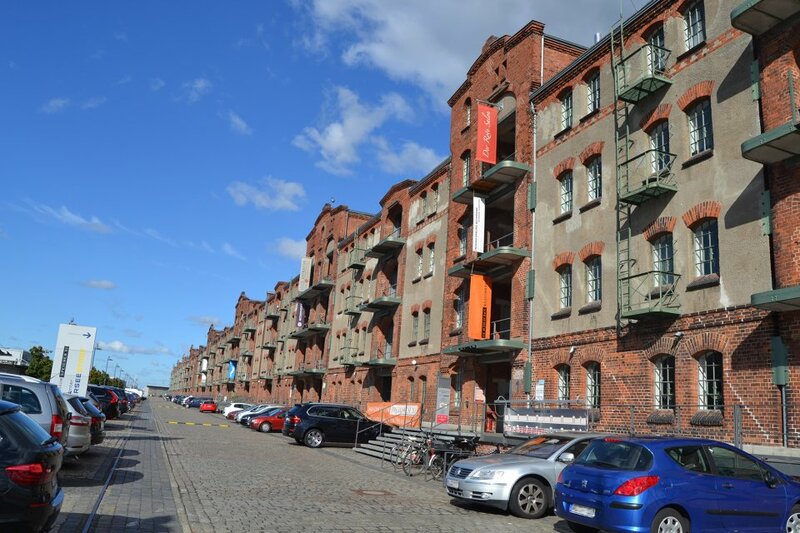 Whether young or old, families or singles - the former dockworkers’ quarter in Bremen West is enjoying a growing popularity. That’s due to its mix of easily reached shops, cultural and recreational offerings, and finally, the abundance of green space here. Those who live in this neighbourhood reap the benefit of a central location with good infrastructure but relatively low rental costs. Walle is an urban and cosmopolitan neighbourhood with seven sections. Utbremen was almost completely bombed out in WWII and its reconstruction was driven by building societies. The apartment complexes they built are today characteristic for Utbremen. Steffensweg is the smallest section of Walle, and has its highest population density. Because of its proximity to the harbour, this area was also heavily bombed in the war. Row houses built after 1945 characterise this section, which also includes the Waller Wied with its six streets and tiny row houses - known locally as "Heimatviertel" (Home District). 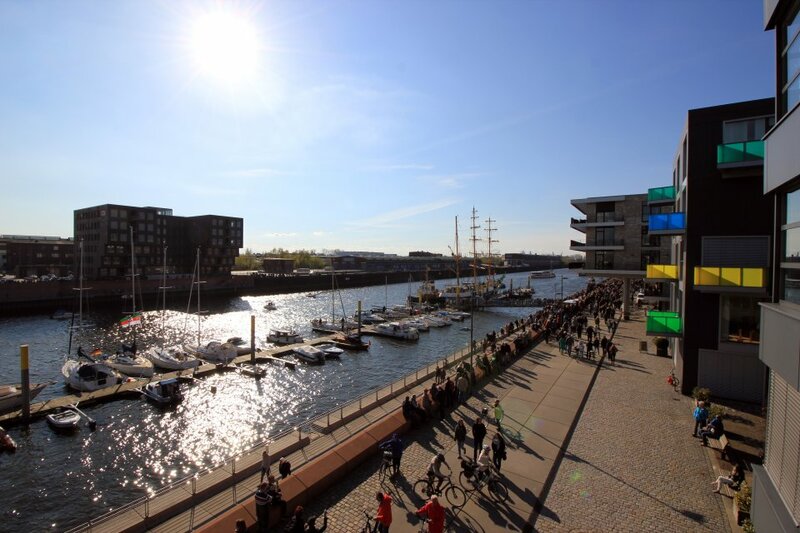 Abutting the section of Steffensweg is the Überseestadt, a former port district that today is one of the biggest urban development projects of Europe. Old storage facilities and structures are flanked by modern city lofts, creating an interesting architectural mix. The infrastructure in the section of Westend is good, with supermarkets, small shops, pubs, snack bars and a weekly market. There are rotating art exhibitions at the Galerie des Westens (Gallery of the West). 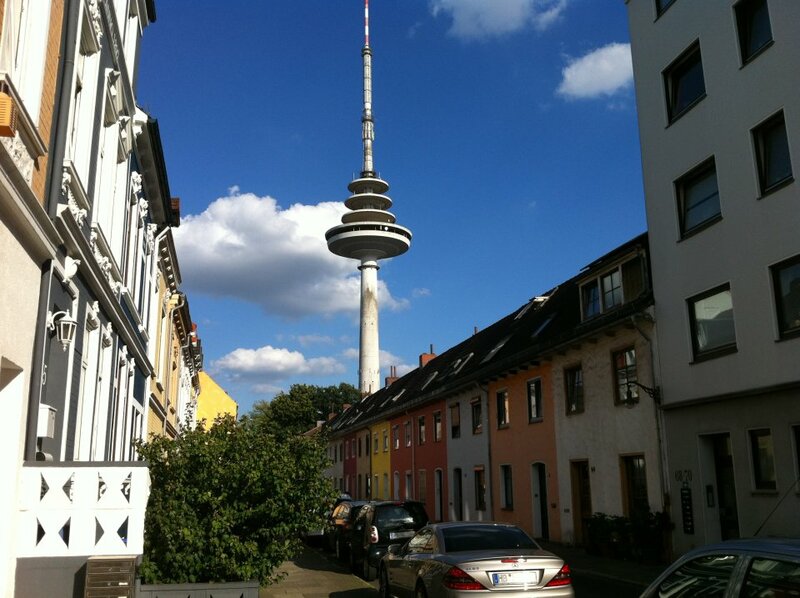 On the Waller Heerstraße, the 235-metre high TV tower reigns supreme. Also called "Walle Spargel" (Walle Asparagus), the tower isn’t open to the public - for several years now, a Peregrine falcon couple use the quiet of the high location to build their nest. The section of Walle lies at the heart of the same-named neighbourhood and, in addition to an ice-skating rink, swimming pool, cemetery, Waller Park, and the shopping mall Walle-Center, also offers culture. The Blaumeier-Atelier, an inclusive arts project, well known beyond the Bremen’s borders, has its seat here. Small row houses and Old-Bremen houses can be found in the tranquil Osterfeuerberg section. The Kulturhaus Walle offers diverse exhibitions and workshops. 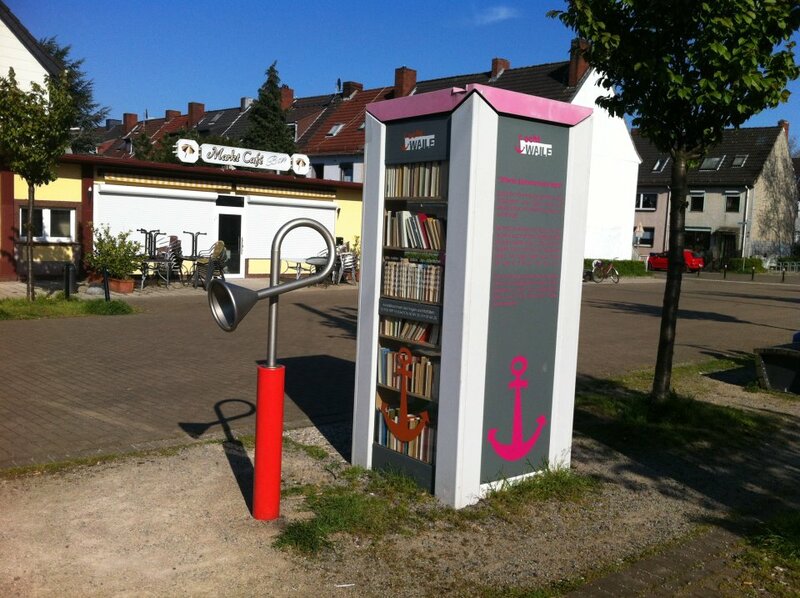 The neighbourhood library is found under its roof as well as the Musikschule (Music School). 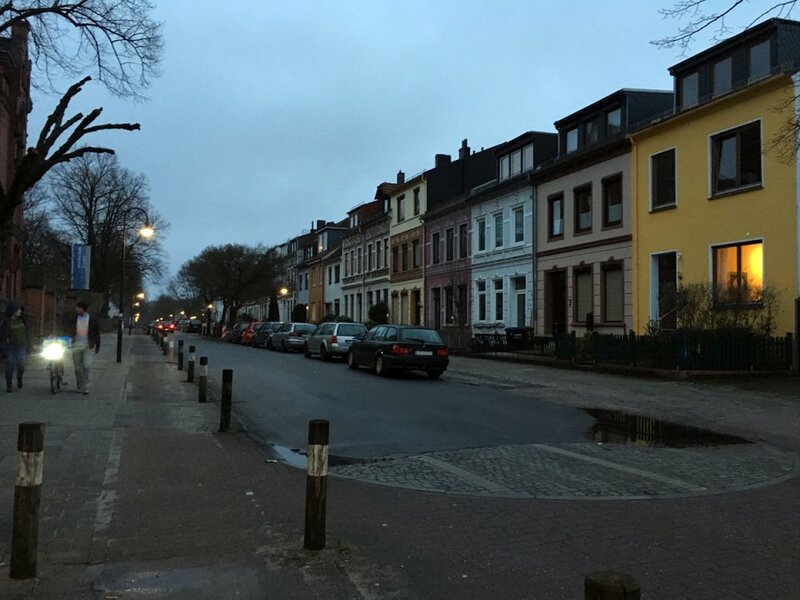 The section of Hohweg is mostly commercial but also has the largest area of connected allotments in the west of Bremen with many lovely, idyllic gardens. 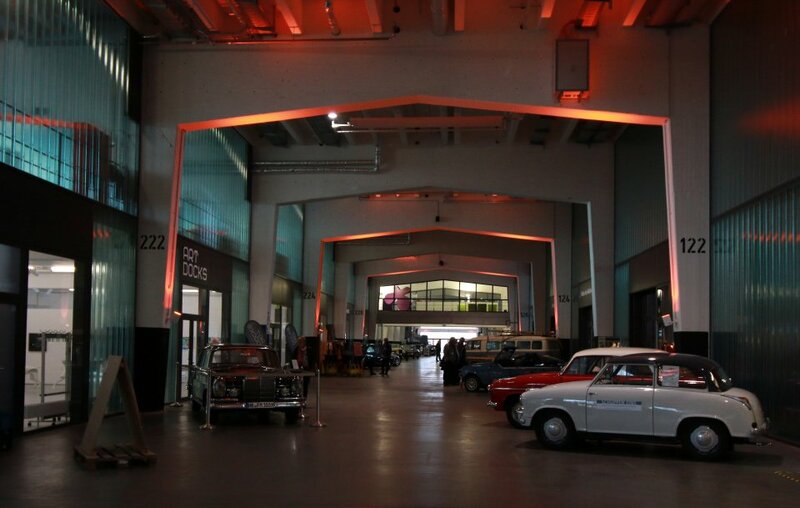 The Schuppen Eins in the Europahafen in the Überseestadt was built in 1959 and today houses the Zentrum für Automobilkultur und Mobilität in Bremen (Centre for Automotive Culture and Mobility) the former general cargo handling hall is an impressive monument to Bremen’s shipping history. 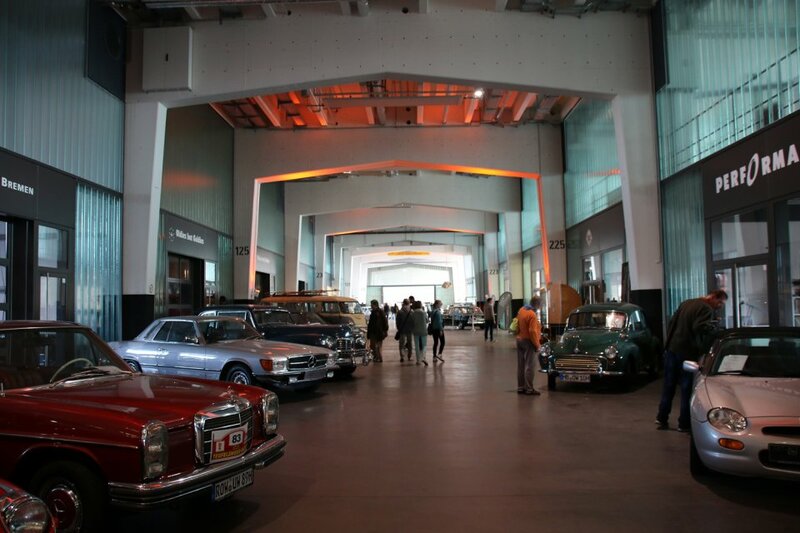 After extensive retrofitting and renovation, the building now has a large boulevard with shops, restaurants, transparent workshops, and an exhibition of classic car open to the public. Fun for the whole family! Every Tuesday, Thursday, and Saturday is market day in Walle. 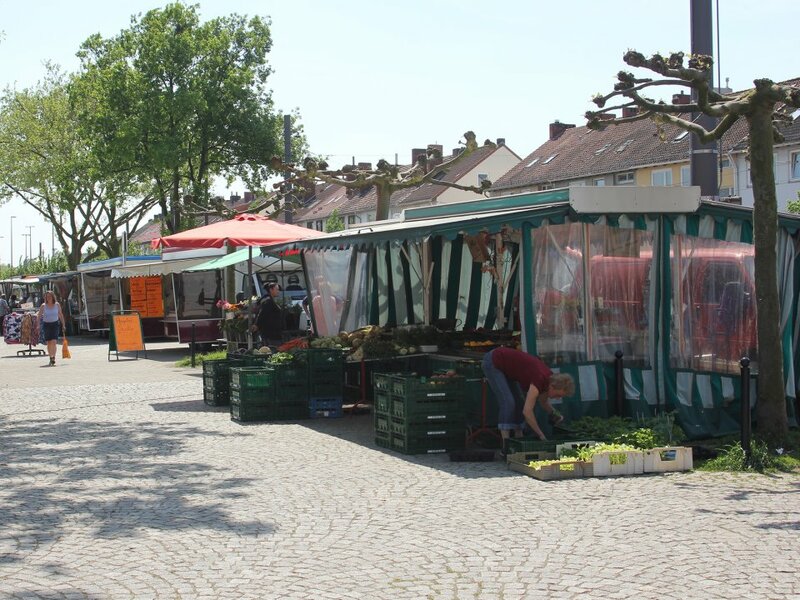 The Weekly Market at Wartburgplatz, at the corner of Sankt-Magnus-Straße, isn’t particularly large, but there’s a wide variety of fresh local and regional produce and product: Fruits and vegetables, sausage and meats, plants and flowers, fish and cheese, and much more. And honey from the "Bremen Bee King" can be purchased here. Every other summer, between the ice cream parlor and Waller Ring, the Vegesacker Straße is transformed into a huge promenade. 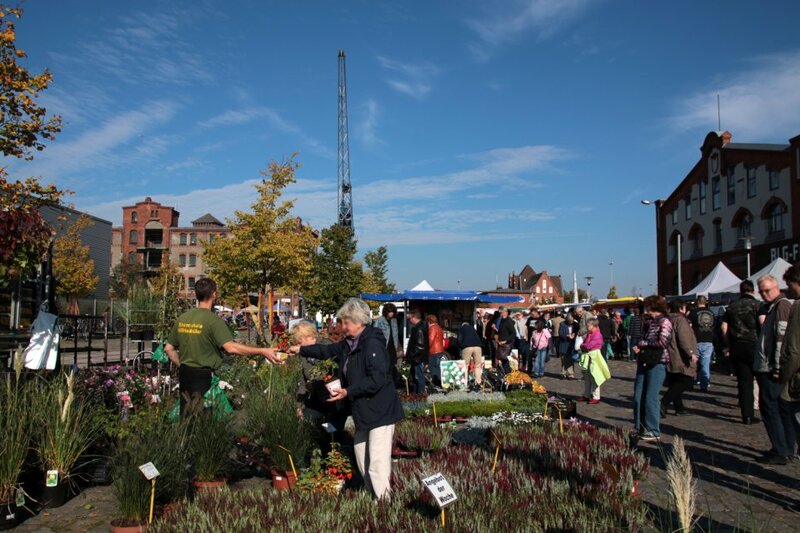 The neighbourhood festival, with its large private flea market, is a popular meeting point for old and young. A varied music and culture programme ensures a good time, and the fun and games guarantee plenty of action for the kids. Clubs, groups, and institutions from the neighbourhood introduce themselves and present hands-on activities. And there’s a wide variety of delicious snacks for quelling those hunger pains in between meals. The neighbourhood festival is organised by the Kulturhaus Walle. 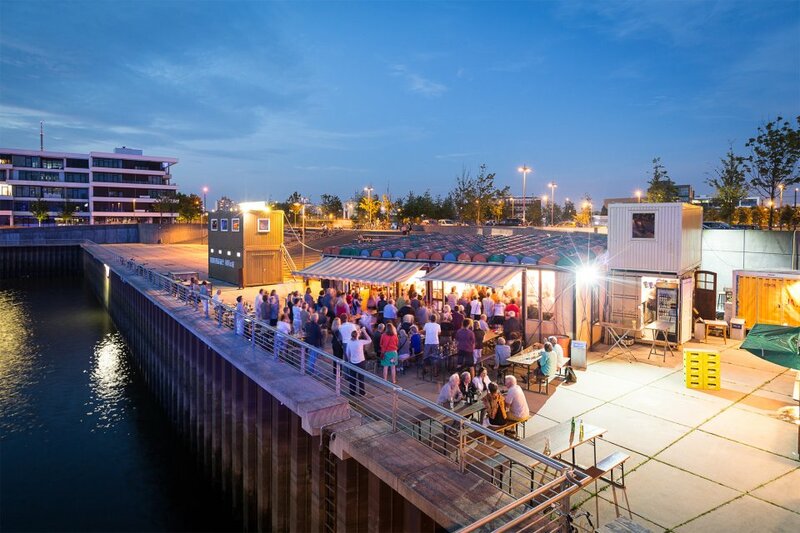 The temporary harbour bar "Golden City" at the Europahafen in Bremen’s Überseestadt opens its doors during the summer months. The harbour bar, constructed out of old building material with a roof made from half drums, has become a cultural institution in Walle. 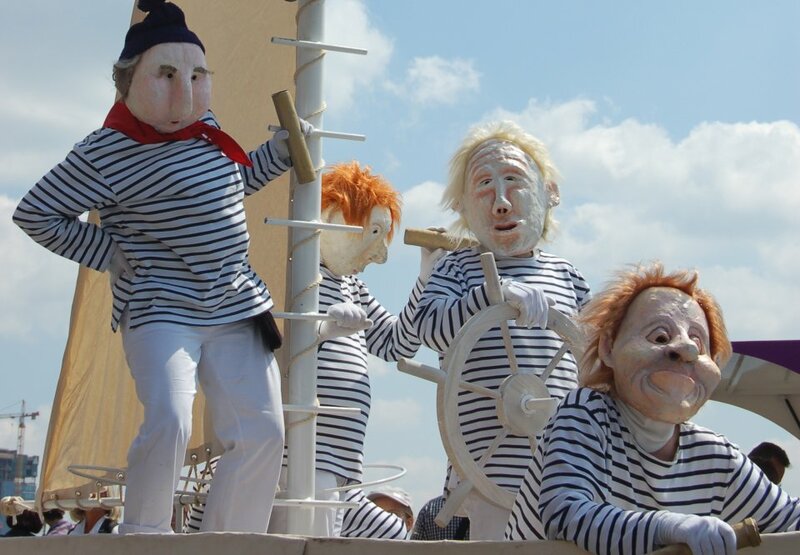 The free culture scene here offers evenings with charming shows and audience participation formats in the atmosphere of a time-forgotten harbour - amazing views of the Europahafen free of charge. The Waller Park, with its small lake, provides residents of Bremen West a spot for rest and relaxation. A large playground offers recreation for people of all ages with a zip line, tree house, and rollerblade obstacle course. Together with the adjoining Waller Cemetery, it creates 35 hectares of green space. In 1907, Bremen innkeepers founded the Union Brauerei Bremen (Union Brewery Bremen). 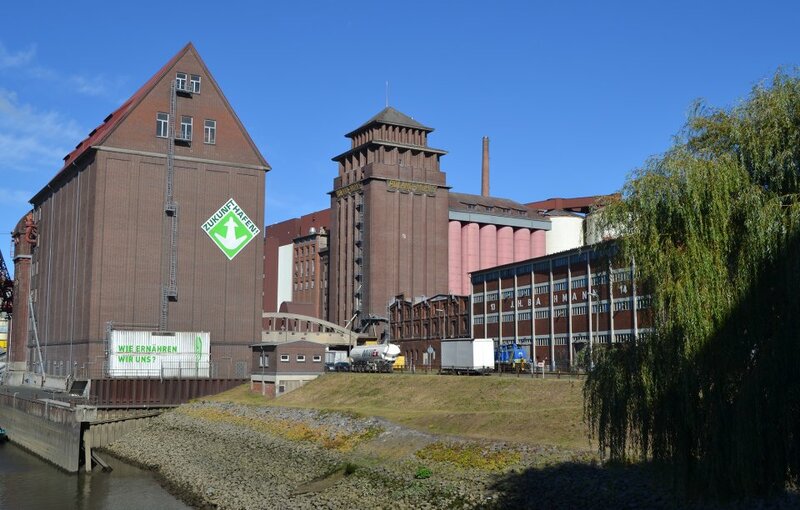 After its closing in 1968, no more beer was brewed in the historical building in the Osterfeuerberg section of Walle for almost 50 years - until its reopening in 2015. 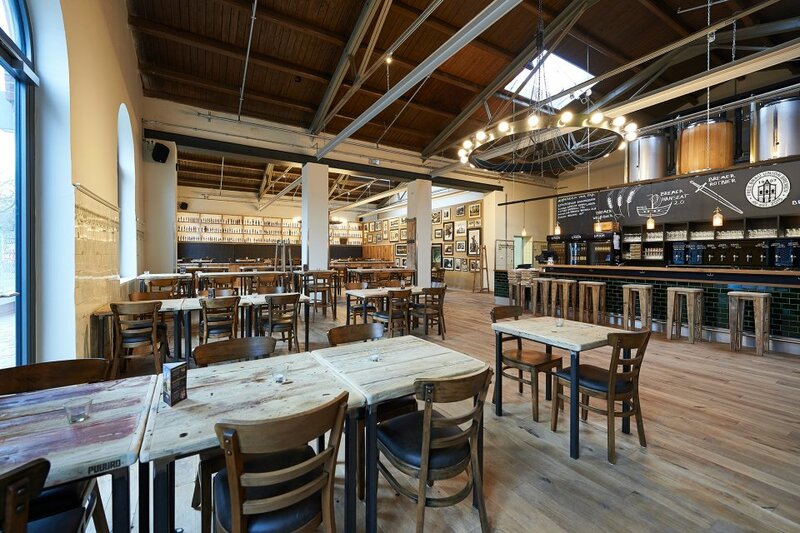 Their different craft beers can best be enjoyed in the brewery’s tavern, where the golden drink flows from the tanks behind the bar - it doesn’t get any fresher! A delight for all the senses: Lenzmarkt, Sommermarkt, Speichermarkt, and Herbstmarkt are the largest special yearly markets that take place in front of the historical Speicher XI. 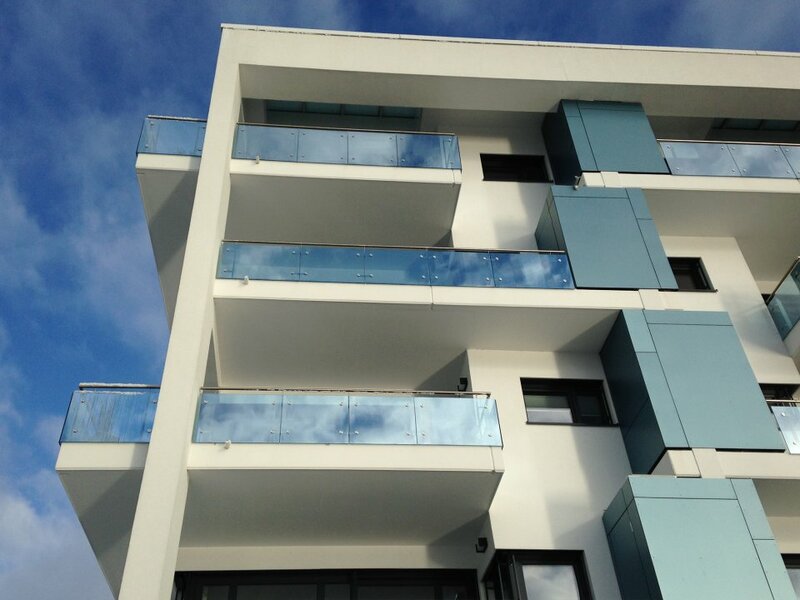 The Lenzmarkt specialises in products and services for the garden and balcony in the warmer months. Seasonal products and culinary delicacies can be sampled and bought at the summer and autumn markets. 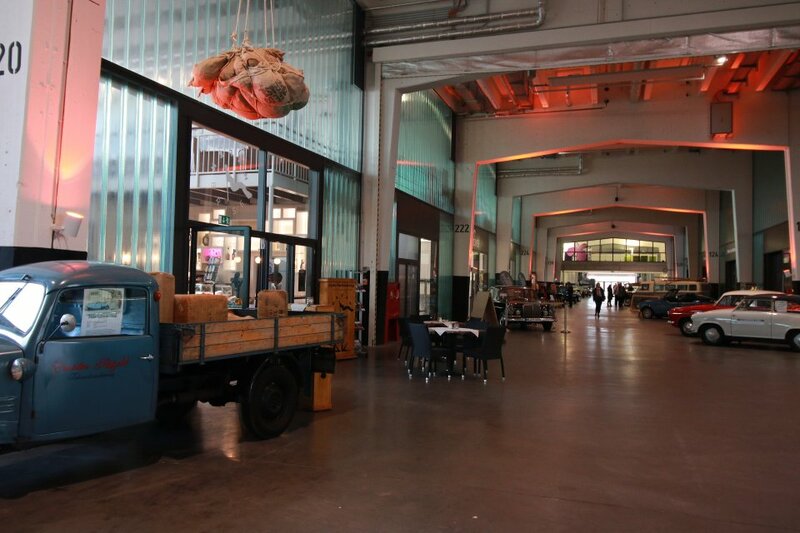 The Speichermarkt offers art, culture, and life-style accessories with handicrafts and gourmet specialities. An institution in the neighbourhood of Walle is the Blaumeier Atelier. With a special charm all their own, the inclusive artistic and cultural project stages theatre productions, masked spectacles, concerts, and exhibitions. The actors have been intriguing the public in their expressive masks since 1986. The "Blaumeiers" present their skills at different occasions in various venues - at street festivals, in their own auditorium, or as guest performers. The Kulturhaus Walle (Culture House Walle), also known by the name Brodelpott, has been a neighbourhood institution for years. The cultural centre is especially known for its historical work detailing the daily life and urban development of Bremen West. Creative courses and changing displays are offered, in addition to diverse cultural exhibitions. The neighbourhood library and a small café are also in the building. 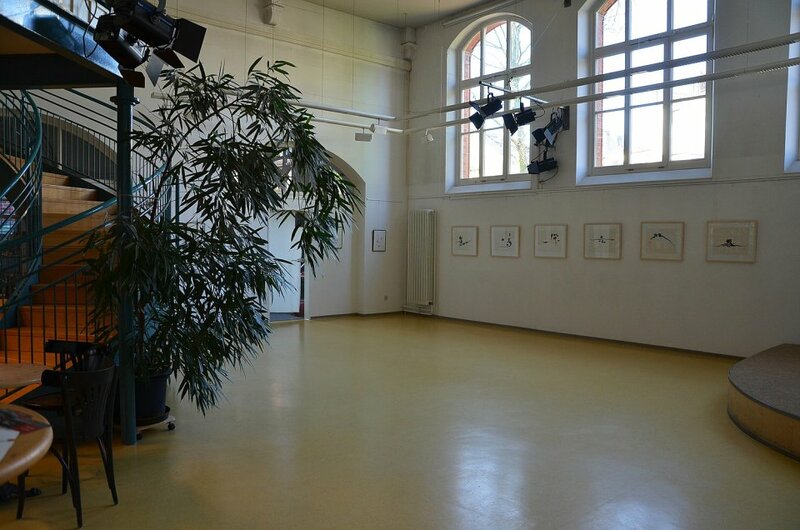 The salon and foyer of the Kulturhaus Walle can be rented out for private functions. You needn’t consider industry to be just ugly, loud, and annoying - it has an aesthetic of its very own. In the harbour, there are numerous impressive buildings within a radius reachable on foot, by bike or with a car. One of these is the monumental grain storage building from the early 20th century, one of the largest of its kind in all of Europe. Sections of the facility are listed for historical preservation. In the Überseestadt, the GOP offers a unique theatre experience. 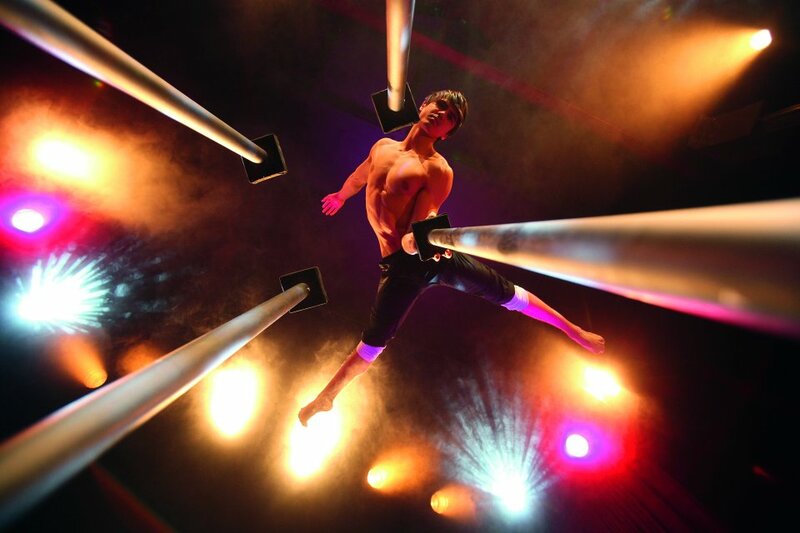 World-class artists fascinate with amazing acrobatics and humorous and spectacular moments in shows that change every two months. 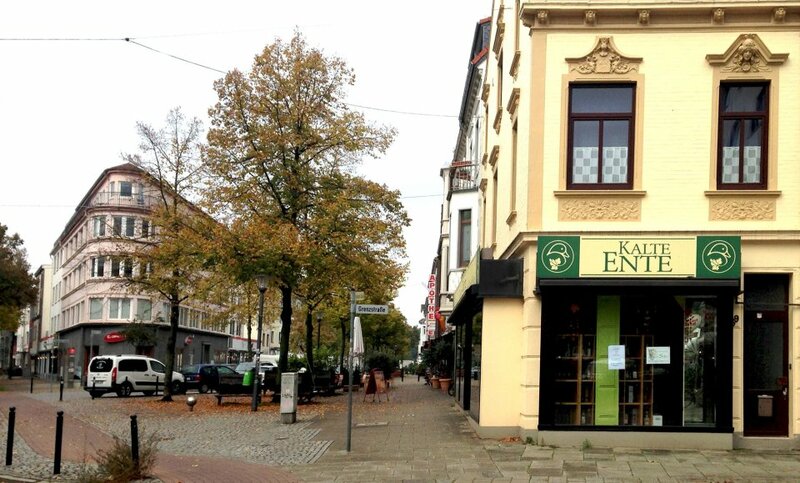 The entertainment complex has a variety theatre with 400 seats over two floors, a large reception area with a piano bar and lounge, and the Restaurant Leander with its views of the Weser. Bremen’s only ice skating rink is in Walle. With two halls that each have an area of 1,800 square-metres, the Paradice is one of the largest ice skating rinks in Northern Germany. 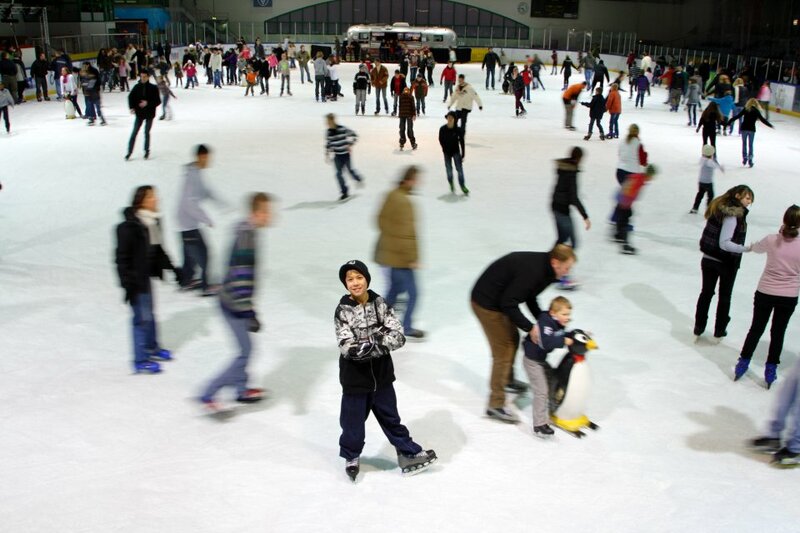 Alone, with friends or family, beginner or pro - fun on the ice is guaranteed! Disco and theme parties are held every season. And a must for ice hockey fans both big and small: The exciting home games of the Weserstars experienced live in Paradice. 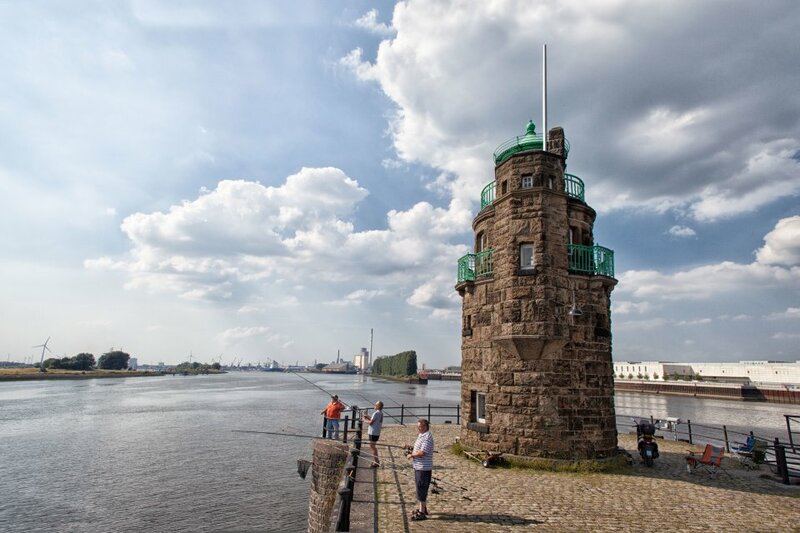 The Molenfeuer lighthouse (also known as the "Mäuseturm" – Mouse Tower) is a small, historically-listed lighthouse in the Bremen Übersee harbour. It was erected in 1906 and is still in use today. The 12-metre-high tower, located in the Überseestadt on the end of the pier at the turning basin of the wood and factory harbour, the cereal harbour, and the crane harbour, is best reached on foot. You have a magnificent panoramic view of the Weser from this spot. At the border between Walle and Gröpelingen is a great place for relaxation. 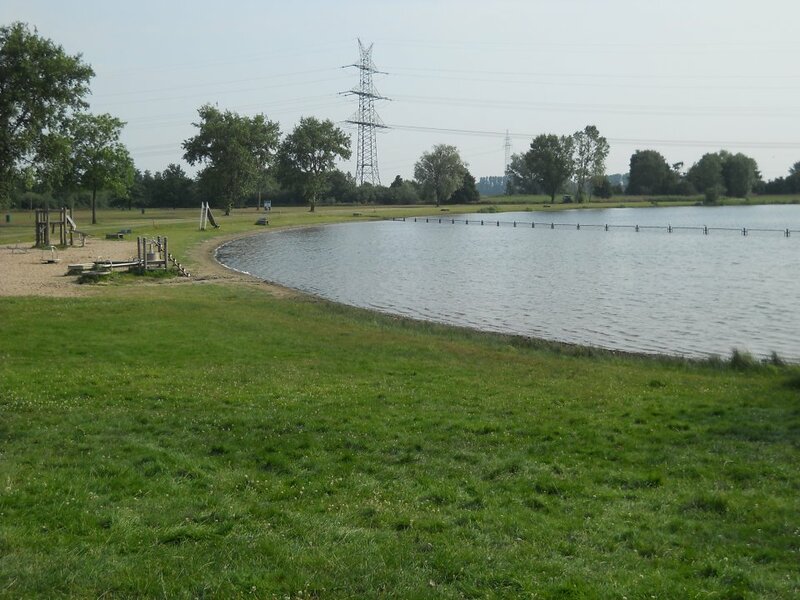 The 12,36-hectare wide and 16,5-metre-deep lake, Waller Feldmarksee, abuts directly on the garden allotment area "In den Wischen". In the summer, the man-made lake regularly has a water quality rating of good to excellent for swimmers and surfers to enjoy. For relaxation or sunbathing, there is a small sandy beach and larger grass lawn. On hot days, visitors should bring a beach umbrella as the shady spaces under the trees are limited. Harbour character and an interesting mixture of tradition businesses and start-ups - especially in the media and creative sector - is what the Überseestadt in Walle offers. An increasing number of students are moving to Walle since the department of Art and Design at the Hochschule for Künste (College of Arts) is now in the historical storage facility Speicher XI, the longest brick building in Bremen. The imposing structure also houses the Speicherbühne (theatre) and the Hafenmuseum Speicher XISpeicher XI. A museum that vividly presents the 120-year-old history of the Bremen harbour. 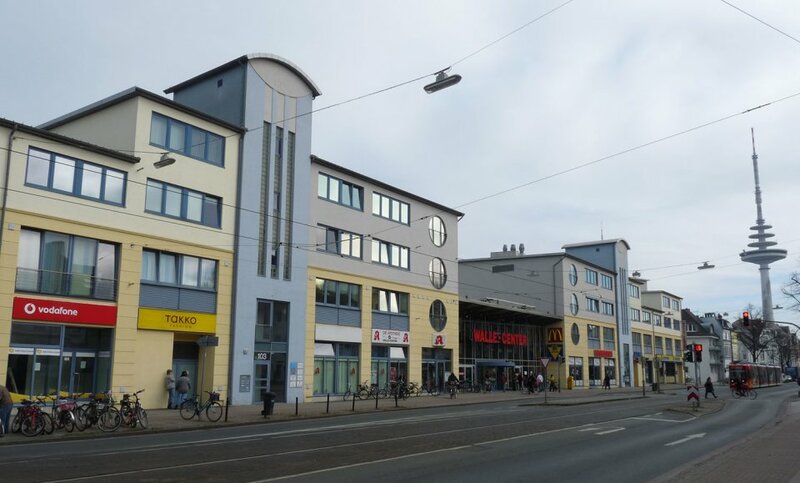 Walle has a first-class public transportation connection to the city centre and most of other the neighbourhoods that lie on the right side of the Weser. And, the number 26 bus can be taken for a little city sightseeing tour! First it goes through the neighbourhoods of Walle and Findorff, then it passes the Bürgerpark on its way to the Central Train Station, and then drives on in the direction of the Weser. Enjoy the picturesque view of the river while driving over the Bürgermeister-Smidt Bridge. On the other side of the Weser, it drives all the way through Neustadt to the depot in Huckelriede. From there it’s just a short walk to the Werdersee!